State Auditor Nicole Galloway and Gov. 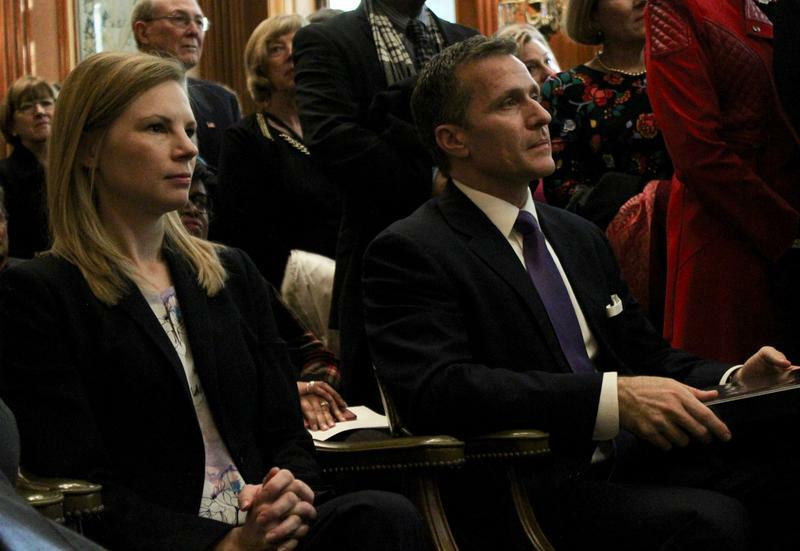 Eric Greitens listen during a ceremony revealing Gov. Jay Nixon's gubernatorial portrait on Jan. 4, 2018. Auditor Nicole Galloway said the state’s general revenue cash balance a year ago was at negative $86 million, which forced the state to borrow from its budget reserve funds for regular operating expenses. But she also blames late income tax refunds on Republican Gov. Eric Greitens for choosing to pay other state expenses first. Galloway also said large corporations and the wealthy are getting their refunds ahead of the middle class in order to dodge paying higher interest rates on late refunds. She added that the Greitens Administration refused to cooperate with her office as she and her staff worked on the audit. She issued a subpoena last April to force the Department of Revenue to provide information on how it handles state income tax refunds. The full audit can be viewed here.